As I walked across Westminster Bridge today I had to stop and take this photo. London is such an amazing city - and The London Eye is a worthy modern landmark contrasting with the history of Parliament opposite. I would have reviewed 5, but it turns out I am surprisingly afraid of heights. My girlfriend loved it though, and thought seeing me go pale every time it stopped was incredibly funny. It was our 1 year anniversary, and I thought it would be nice to do something spectacular, and the views (what I could see of them sitting down with my eyes half shut anyway) certainly were spectacular. overall had a good time, and would probably do it again now I know there is no chance of dying horrifically. Thanks guys! I’ve done this four or five times, both as a London-living-tourist and as a school teacher. It’s such a great way to view London, especially in the Summer! You need to go early or not at peak times so that you don’t get bogged down in queues. 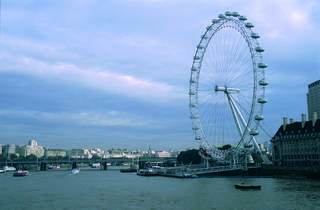 The London Eye has become an integral part of the London Skyline but also despite many cities around the world now copying London's oversized big wheel, what they fail to realise is that as well as providing the view, you need to have sights to see and few cities can rival London for those. Traveling at double the speed of a clock's minute hand you majestically rise and fall watching over as the city bustles beneath you. If you have a Merlin pass as a Londoner you can jump on anytime you're passing, which I did for a year and it was great as what you spot is quite different at different times of the day. Gorgeous view, and you definitely have enough time, since the ride is exactly 30 minutes long! But it's going to make a serious dent in your travel budget; it was over $120 for my family to all go. My little sister was very bored, but the rest of us enjoyed taking photographs. The line was short, we went in late November, but I've heard it's usually a nightmare so I recommend getting tickets online! Even by London standards the 'eye' is busy, by booking in advance you can avoid some of the lines (but you do risk the weather). I took my mum when she was visiting, and we were lucky enough to be placed in a pod that wasn't too crowded. The London Eye may have a lot of hype but it is worth it, the views are incredible, unobstructed and vast. It moves slowly, but feels just right. A definite must do for any London bucket list! The London Eye always seems to be the busiest attraction in London. There are always queues and on weekends they pile quite a few customers in to each pod so it can be a bit tricky to get a full view from e dry side of your pod but despite these negatives it is one of those things that everyone should do once. You get great views of Big Ben and the Houses of Parliament as well as various other iconic landmarks in the city. 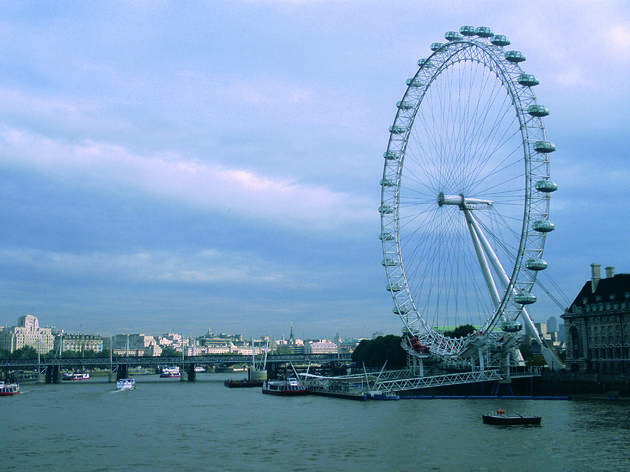 Just having this big wheel located by the Thames makes the view instantly perfect. It’ll take you half an hour to go round once so get those photos swiftly. And that’s what this attraction is really about...getting those special London photo memories. There are less packecsites for good views but nothing gives you quite as good a view of Parliament. Worth doing once. I agree with Todd N that this is something to do once. Great views, but pick a clear day to make the most of the entrance price. 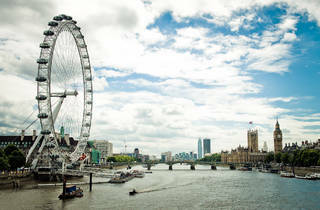 It’s an iconic part of London where it sits right along the Thames River – you won’t miss it as it’s right near Big Ben. It’s a cool concept where you’re in a giant ferris wheel and have about a 30 minute rotation in the pods and you’ll get good views. I think it’s worth at least once! I think it recently became sponsored by Coca Cola so now it’s called the Coca Cola London Eye – prices appear to have increased since their sponsorship. Probably the busiest tourist attraction in London, but by far the best views of the London skyline you can find! The ride itself takes around 30 minutes to complete a full rotation, which is the perfect amount of time for a little rest and warm up. Once we got through the queue, which took about an hour on a Saturday evening, we were shuttled into a large capsule pod. Although spacy, there were a lot of people crammed into our pod which made it hard to move around and to look at the views on the other side of the pod. There was also only one small bench in the middle of the capsule which was occupied the entire rotation, so we spent the 30 minutes standing. Although there were some negatives to our experience, the view we got looking over London with the sun setting was breath-taking and made up for it! A good experience, however bear in mind that it will be very busy! 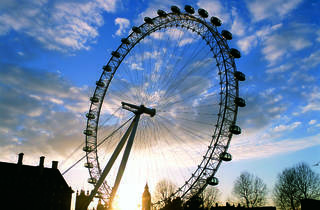 The London Eye is a very recognisable icon in London and it flocked to by tourists and Londoners alike. It is well worth doing once, although I prefer The Shard for the same kind of money and experience. It's nearer to The Houses of Parliament and Big Ben so it makes for some great photos. I didn't feel the motion, and it felt secure, not like a Ferris wheel which would scare me! The London eye is probably the second most iconic London landmark after Westminster and I hugely recommend everyone to try the experience at least once. Despite the crowd and the price it's worth visit it to see one of the best view over London (the best one is probably the one from the Shard). It's also nice to see the landscape opening up from the bottom until the top, something you can't experience at the Shard. If you are visiting with friends or family try guessing the different buildings and hills of London and then check them on the screen provided, it's usually a fun activity to do. Two things bothered me a little, despite booking online I had to queue or buy a skip the queue special ticket, I find it a little be too much to ask and silly. The other thing was the nausea caused by the fact that the cabin moves in a circular way over itself (difficult to explain but you'll understand by looking at it closely), I could barely stand but my husband was ok.
An unobstructured view of London's skyline. 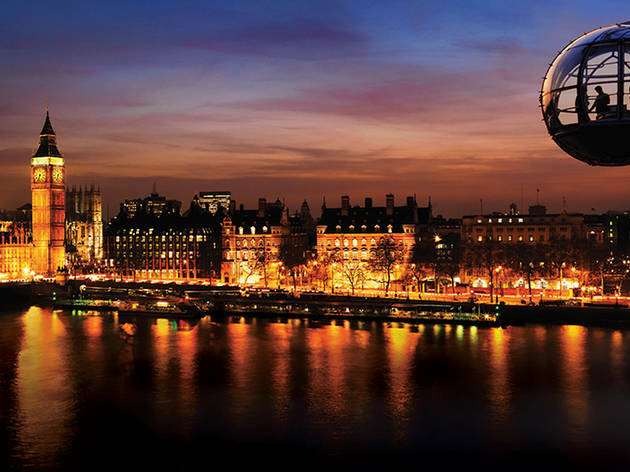 Soar above the Thames and spot the iconic sights of London in this slow and steady experience. A must do for everyone visiting London! I was fortunate enough to be invited in The London Eye by my fellow tastemaker and friend “Hollibakes” for a champagne experience – lucky me! This is a remarkable and iconic structure that we’re blessed with in our capital, a must see and do for most visitors to the city – although I’ve seen it hundreds of times, I’ve found that having it effectively on my doorstep meant that I never actually got round to visiting before now! And what a way to do it, the VIP offering from The London Eye was exceptional as well as providing the wonderful views you can expect as standard, we were offered complimentary champagne and nibbles on our rotation which made the whole thing feel so much more special and exclusive. Afterwards, we were taken on a Thames sightseeing cruise with you guessed it – more free flowing bubbles! Then in case we weren’t all fizzed out, there’s even a champers bar to end our visit. I left feeling very content and elated to have finally ticked this off my bucket list… and perhaps just a little tipsy!! 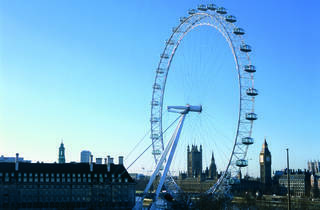 Standing tall and proud diagonally opposite the Big Ben is this giant Ferris wheel of London. On New Year's Eve, there is spectacular fireworks show here but in my opinion it is not worth viewing them live whilst being crushed in the crowd. You get better view from the comfort of your living room thanks to the BBC! I have been to the wheel several times, each time with visitors. On a nice clear day, try to go at sunset time as the view from above is beautiful. However, the queue could be crazy. My suggestion is to buy the tickets in advance and avoid school holiday times. Yes the tickets were on the expensive side but the majority of my (overseas) visitors were impressed with the spectacular view of the Big Ben, the Thames, and the London skyline once our pod came close to or at the highest level. Each pod had plenty of space for people to move around in as they purposely did not stuff them full ensuring a comfortable ride for everyone. 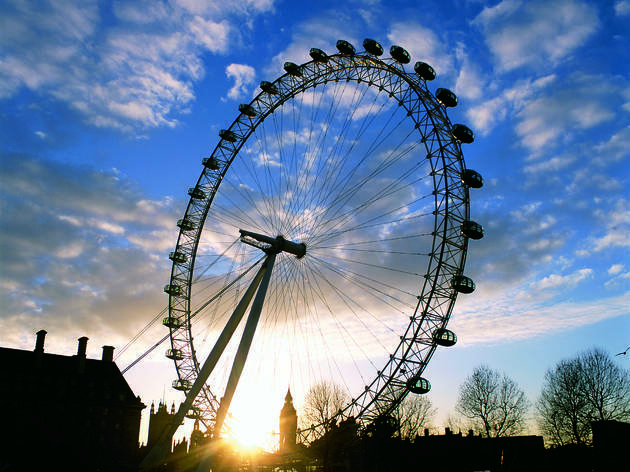 There is no doubt that the London eye is iconic around the world. However with all the Sky bars around the city, I don't think this view is as good as others such as The Shard or Sky garden. Lines can be pretty crazy with tourists during the Summer so prepare to wait! I always said to myself I'd never go on the London Eye because it was such a tourist thing to do! A few weeks ago I had to eat my own words, as one of my friends treated me to a ticket! There wasn't much of a waiting time as she had got the fast tracked tickets, the pod was quite large, we had about 10 people in ours. The champagne experience was a good move I reckon, anything with bubbly in my hand is a good move! It moves really slowly, like you can't even feel it! We went on a weekday and the sky was so clear, giving the perfect view of London, a 360 degree angle once you reach the top! Its a photographers dream.... We also witnessed a surprise proposal, it was so cute, unfortunately for him though, she declined! Not the best of pods to be in after a while, as the mood sombered a bit! But hey, thank gawd for champers and sunshine!! Nonetheless, I have fully eaten my words and recommend this to anyone, londoner or tourist or not, just go enjoy it and see what London has to offer! It makes you fall in love with the city you live in! I went to the London eye few months ago whilst I had cousins visiting. In the end they convinced me and I joined them. If there is one tip you need to keep in mind whilst booking, it's the sunset. Once you're done with the horrible queue to get your tickets + the horrible queue outside before getting in one of the capsules, you really access a fantastic view of London and trust me, you want to see it with a lovely sunset. The London Eye is over 15 years old and still brings in tourists and Londoners as it is such a iconic structure and experience to have. From the pods you will be able to take in breathtaking views of London, the Houses of Parliament, Tower Bridge, Big Ben etc. just so much to see. It is obviously best to go on a dry day be it during the day or night as both bring a different look to London. 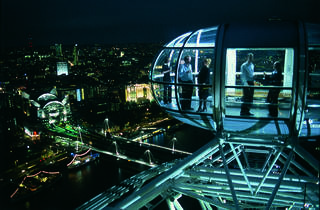 They also do many events throughout the year now on the London Eye from champagne flights to special talk events which in turn then makes you want to go back on the Eye without this I don't think I would go back on it. I was against visiting the London Eye for so long. In my eye this attraction was always for tourists who doesn't know other places to watch the skyline from (e.g. SkyGardens). Then a friend got me a standard entry ticket and we went one February evening. I liked that there wasn't any queues or crowd around, we got in about 2 minutes (hail the off season, I've seen people lining up and waiting forever). Being in the capsule was fun and the view was mesmerising. It was an amazing experience to see London at night from above. I think the timing (30 minutes) was just right: long enough to truly enjoy ourselves and not get bored. I liked the experience: this is a "classic" attraction, the view is beautiful, going around is exciting...although I believe 23 pounds as a standard entry is overpriced. I don't know much about the other options (VIP experience etc. ), but maybe (as I reckon this is more like a "one-time" activity) overall it's worth to go for the more exclusive ones if you visit the London Eye. Not just for tourists! I treated my sister to the VIP experience to show off my beautiful city and ended up falling in love with London all over again. The highlight for me was the river cruise tour at sunset with mimosa in hand. The tour guide had unlimited facts and entertaining stories about the architecture and history of the city along the way but also had us in fits of giggles with his terrible jokes. Last month, I was fortunate enough to have the opportunity to try out the new VIP experience for the London Eye. 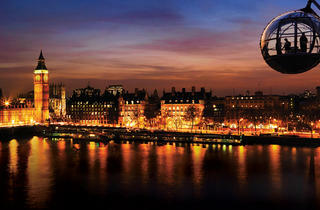 This comprised of a ride on the London Eye, a ride on the London River Cruise, and some time in the new VIP lounge. The first came complete with nibbles and a glass of champagne, the second included more champagne, and nibbles and drinks were served throughout the night at the VIP lounge. We were blessed with a sunny and warm evening that night, which was the perfect weather to take sunset pictures aboard the London Eye and while cruising down the River Thames. It made the experience even more enjoyable than it already was. I thought the views aboard the London Eye were pretty stunning! As it turns around at a slow speed, you have the chance to take some really decent pictures both north and south of the river. My favourite shot was definitely when we reached the peak - the view of Big Ben and the Houses of Parliament against the backdrop of a beautiful sunset was rather romantic. 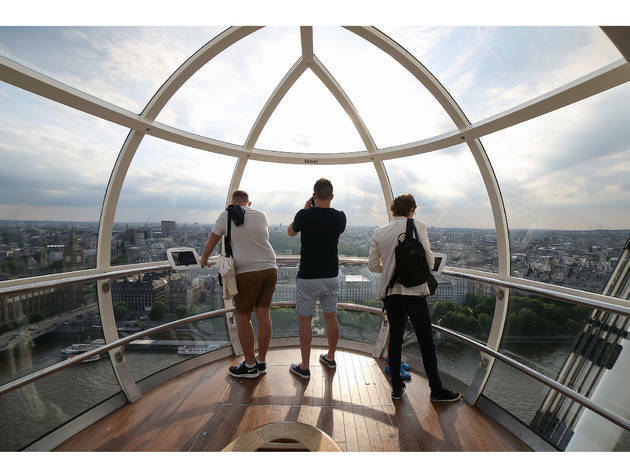 I liked that the the capsules of the London Eye were spacious, so you weren't knocking into others during the ride and that it was air conditioned, especially in the warm weather. For the London River Cruise, we were lucky enough to find a seat on the upper deck to enjoy the sun (and get some of that much needed vitamin D coming out of winter) and the sunset. As we boarded, we received a glass of champagne in the lower deck and were topped up throughout the ride. I very much enjoyed our guide for the cruise as well! He kept us informed and entertained with his witty comments on the history of the surrounding buildings as we cruised down the Thames. The ride lasted a good amount of time - enough to take more stunning pictures and to enjoy being on the cruise. After disembarking the cruise, we headed into the VIP lounge. I liked the layout of the place because the bar was placed in the middle in a circle and surrounded by loads of sofa seating. Waiters kept us satisfied with small canapés and making sure our glasses were always filled. When I declined another top up of champagne, the waitress was kind enough to offer me some juice to go along with it to make it into a cocktail, which I thought was quite nice. It was also easy to ask for water at the bar and it never got too crowded or noisy. The nibbles were quick to go as soon as the waiters and waitresses came out with new servings but I thought they were quite on the ball with making sure everyone got some. Overall, it was a lovely experience and probably something I'd recommend doing as a romantic gesture. Just make sure the weather's predicted to be good that evening and I'm sure it'll be an evening to remember! I was one of the lucky tastemakers who tried out the new VIP experience on the London Eye recently, complete with nibbles and as much champagne as you can drink. On this particular evening, it was the warmest and clearest weather we'd had all year, so we couldn't have asked for more perfect conditions for our first trip on the Eye. It definitely exceeded my expectations, the views across the London skyline are unparalleled and the whole experience was spot on. The London Eye rotation was followed by a brilliant champagne river cruise down the Thames, which couldn't have been a better way to finish off the evening. The tour guide was very funny, and told us many fun and interesting facts about London! Thank you TimeOut & the CocaCola London Eye - we had a fantastic time! I recently was lucky enough to be able to try out the new VIP experience on the London eye. 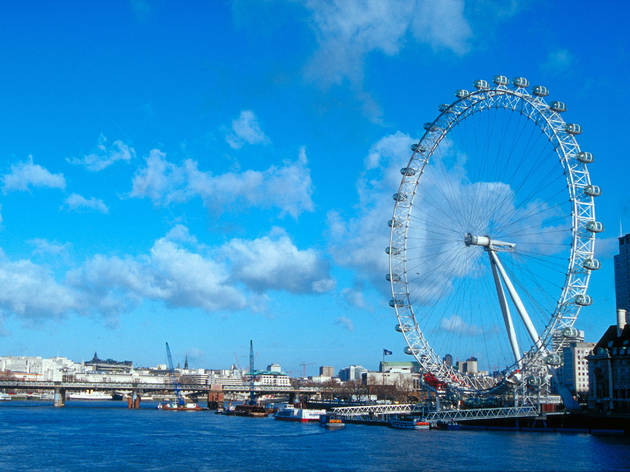 The experience consisted of a ride on the London eye with a glass of Pommery champagne, followed by a Thames river cruise with 2 more glasses of Pommery, followed by nibbles and more Pommery at the Eye lounge. This was an incredible experience!! Being able to skip the queue and enjoy a glass of champagne while going on the Eye really added to the experience, and the commentary on the river cruise was funny and informative. I had an absolutely brilliant evening!! Would definitely recommend this to anyone considering going on the Eye, or to any visitors to london. Just fabulous! 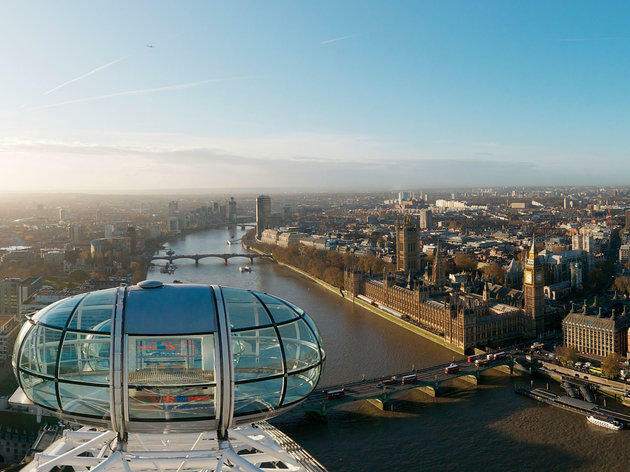 On a hot summer day when the London Underground is sweltering, there isn't a better place to escape the heat, than an air-conditioned London Eye capsule enjoyed with a glass of chilled champagne and accompanied by the breathtaking views of the sun-lit architecture along the Thames. In case crowds put you off and this is the only reason why you still haven't been on the London Eye, take my advice - buy the champagne experience, it's well worth the price - you beat the queues with fast-track access and get to enjoy a glass of bubbly while admiring the glistening waters and the hustle and bustle of the city from above. I'm a sucker for bars with a view and utterly enjoyed turning this London landmark into one! I've never been on the London Eye, and recently both my boyfriend and I quit our jobs so I had it in my mind to look for some sort of nice Londony way to celebrate. On the same week I found out about the Eye Lounge VIP champagne experience - a combination of a ride on the Eye with champagne and nibbles, followed by a Thames boat river tour, followed by more champagne in the Eye lounge back at the South Bank. Such a special experience! Seeing London first from the sky and then from the water really made us appreciate this wonderful city we live in, and being plied with bottomless champagne was the perfect excuse for us to celebrate our newfound freedom. The only reason I haven't given this 5 stars is the customer service from the London Eye before and after the experience. It wasn't awful, but it definitely wasn't 5 star. When we turned up, it wasn't clear where to go and we had to ask about 3 people. We were ushered into a type of hall with another group and waited to be told what to do. Then later, my boyfriend (who is diabetic) dropped his blood sugar testing kit somewhere in the Eye lounge. Obviously this was quite important for him to find and expensive to replace, but when he realised and called up the next day to ask about it the staff were incredibly dismissive and unhelpful. It was next to impossible to find a contact number on the website in the first place then finally when we got through, the person he spoke to just said 'nope, haven't seen it, can't help you' without asking what it looked like, checking with anybody or actually looking himself. This didn't impact on our experience the day before - which was wonderful - but it impacted our experience of the London Eye in general. I was fortunate enough to take part in a VIP evening where a +1 and I were able to ride the London Eye, board a Thames cruise boat and visit the newly reopened Eye Lounge. I haven't been on the London Eye in around 15 years so this was a fabulous treat! 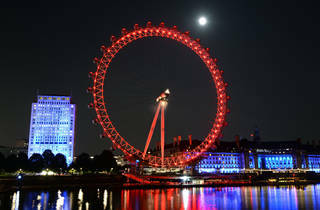 Although the branding of the Eye has changed, since becoming the Coca Cola London Eye, everything else has remained much the same. With the added treat of a host, we experienced the iconic 360° view of London and went round once on the Eye. As the day was warm with clear blue skies, it was the perfect summer evening experience. We sipped champagne and ate nibbles, as we took in the view and took lots of photos! The pods are deliciously air con'd so no chance of overheating! We were then whisked onto a boat to take a cruise down the river Thames! Starting at the Eye, we took a short ride down to the Houses of Parliament before turning around and cruising all the way down to Tower Bridge. More champagne sipping ensued! As did a generous amount of photos and videos to capture the evening! Lastly, we headed up to the VIP Eye Lounge, where there was (even) more champagne and canapés too! Beautiful decor and lovely atmosphere. Overall, a very special night and very blessed to have been given the opportunity! My third time on the London eye in 5 years, and it never gets old. The beautiful city of London is something else from this height! With few people in our capsul we took full advantage of all the best selfie angels. It's worth taking a decent camera to take stunning shots of the city. You can see for miles and take your pick of the view point, either over looking Westminster or out towards the shard of St. Paul's. What I found really helpful was the small information slabs which help point out the rest of the cities lesser known buildings. It might just be a giant suspension wheel that's slightly overpriced and mostly rather crowded but the capital it circles above is something truly special. Providing some incredible views of such an iconic city, just make sure you do it on a clear day and, preferably, outside of any sort of holiday time. I mean, lets be honest, it a much a better thing to do than the London Dungeons. 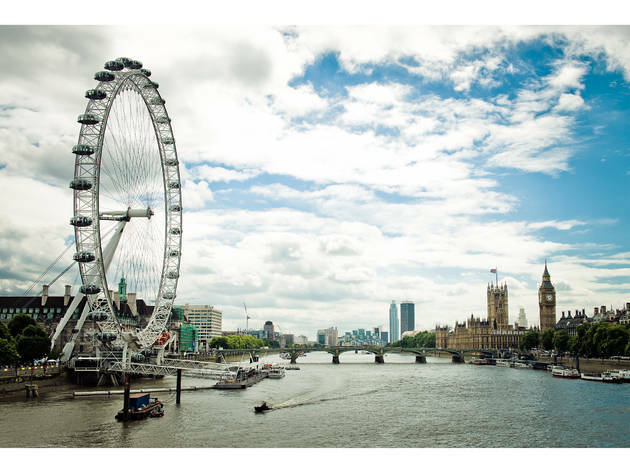 What can make amazing views over London on a clear and sunny spring day, an interesting and fun river cruise and the chance to relax in the new Eye Lounge even better you ask? Bottomless champagne! I recently got the chance to experience the VIP Experience courtesy of The Coca-Cola London Eye and Pommery Champagne and cannot recommend it enough. I had never been on the London Eye before and I felt so lucky that the weather was so wonderful on the day that I got to experience it for the first time. When you go for the VIP Experience you get to skip the queues - which alone is a good enough reason to go for the VIP Experience! We quickly got into a capsule with our guide, who had brought the best picnic basket with snacks and lots of Pommery Champagne. I cannot describe what a wonderful experience it was to look over our glorious city with a glass of champagne in hand! The views were stunning and the ride is perfectly timed, lasting long enough for you to admire what you see and take it all in. When the ride was over, we got out and were escorted to a cruise boat straight away as we were about to experience a London Eye River Cruise in the Thames. There, more champagne awaited and we chose our seats on the upper deck. The river cruise lasted around 40 minutes and the route was great - we got to see Big Ben, the Houses of Parliament, St. Paul’s Cathedral, Tower Bridge, the Tower of London and so much more. All was made even better by our excellent guide, who I think was called Martin, who really knew what he was talking about. He was informative but at the same time very funny, giving us extra fun facts along the tour. After the amazing river cruise we ended our evening in the newly opened champagne Eye Lounge. The atmosphere in the Eye Lounge was great and the staff was very friendly. More great Pommery champagne was served and the evening was spent sipping bubbles and talking about the overall experience. While many Londoners (myself included) would avoid such crowded tourist attractions the VIP Champagne Experience is an excellent way to do something touristy in a different (and better) way. Avoiding queues and getting to enjoy the views of our lovely city with champagne makes the experience unforgettable and it truly is worth it! It gives you the chance to stop up for a bit, look out and admire the beauty of London, which was amazing. Five stars! I was lucky enough to experience a new VIP experience courtesy of Coca Cola London eye and Pommery champagne. As part of the experience you get fast-tracked on to the Eye with your host. As soon as you're in the air conditioned pod (which was amazing because it was such a hot day), the champagne doesn't stop flowing. There's a box of nibbles too for all to share. The views are the best views you can get in London (in my opinion!) - you can see the Houses of Parliament clearly and all other major London landmarks. The host was very friendly and was happy to take photographs of us all. We were then whisked onto a river cruise along the Thames with more champagne! Again the hosts on board were all friendly. The guide giving us information about the sights was funny and well informed. This is something you can chose to do but I'd definitely recommend it as I do enjoy a good fact session! We were then guided to the Eye Lounge where there was more champagne! After enjoying the views outside, the lounge seemed a bit dingy and dark for the beautiful day we had our experience. A short time ago I got to experience the newly launched VIP experience in association with the Coca-Cola London Eye and Pommery champagne, and boy what an experience it was. The day was glorious, with views stretching all across London, including the teenie tiny arches of Wembley Stadium. 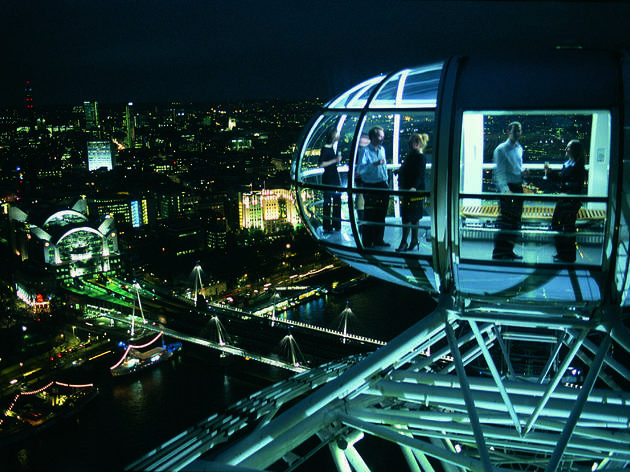 The VIP experience includes some scrumptious champagne and savoury nibbles during the 30 minute 'flight' and is a perfect way to revisit the London Eye. If you've never been before, it's great for first timers as well. After the 'flight' we got to visit the prestigious looking VIP lounge, again supported by Pommery champagne, for some canapés and yet more fizz... this time opting for some orange juice to accompany it! There's a lovely city boat cruise you can choose to take too, but I'm going to review that one separately. I know it's touristy ('cause hey, I'm a true Londoner, yo!) but I loved the London Eye. Tickets are not the cheapest admittedly, and the cycle seems short. It's meant to be a 30-minute ride, but it felt more like 15. That aside, it is so incredibly cool to see the city sparkling beneath you. I went at night-time with some friends. The interactive maps show you were things are at, and it was fun trying to figure out where our offices were, or our university and the direction of our flats. I'd definitely like to go again - either during the day if it's sunny or at dusk. Would love to be able to afford one of those special champagne pods (someday, right! Right..?). On a nice, clear day, especially if you go when the sun is setting, the London Eye is one of the best thing you could do. You will be able to enjoy stunning views of London in all its beauty, from great heights, in a beautiful spacious cabin. The London Eye is easy to reach, I usually go there from Waterloo station as I really enjoy walking along the Thames on that side. You can also go there from Westminster, and that walk is also a very pretty one! The only thing I strongly suggest is book online to avoid the queues, that can be kilometers long on fine days. It's not cheap but definitely worth it, especially if you want to surprise your date with special views over one of the most beautiful cities of the world. There are plenty of other viewing platforms in London, and much higher ones to boot, but the Eye is a truly unique experience, and the location on the Southbank opposite the Houses of Parliament make it my favourite one. The London Eye is to London what the Eiffel Tower is to Paris. When it was first built people hated it and found it an eyesore. Now, it's hard to imagine the city without it. Situated on the South Bank, this little strip of London can be a soul sucking experience, but one that must be done to prove your merit in our great city. Dare you navigate the crowds to reach the long queue for tickets? Definitely book online to skip that line, but not TOO Far in advance that you cannot check the weather forecast to ensure decent skies. It's fairly pricey and for a family a bit of a strain on the wallet, but if the views are good-- it is one of the best 30 minutes or so of your day. Or a sweet date. Or splurge and rent the entire capsule and have a mini party. 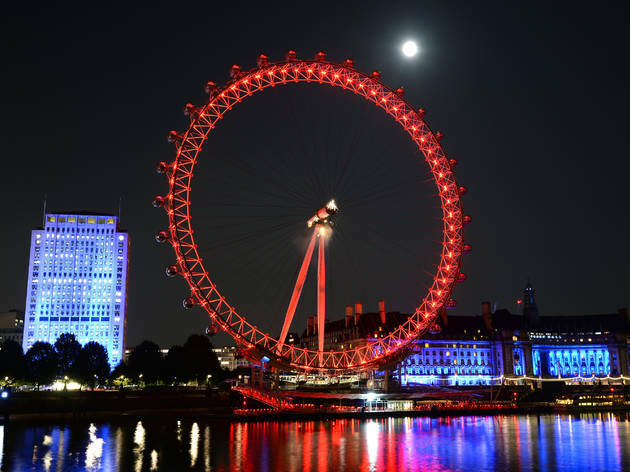 The London Eye needs no introduction. It’s one of London’s iconic and recognisable landmark. 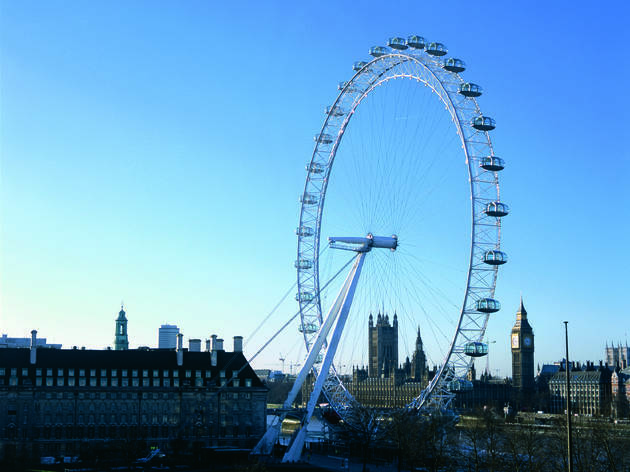 Built to mark the beginning of the new millennium, this observation wheel offers passenger spectacular panoramic views of London’s skyline. On a clear day, you’ll be able to see up to 40 km away. It rotates 26cm per second, which is twice as fast as a tortoise sprinting, and the 32 capsules (which represents the 32 London boroughs) can carry up to 800 people people per rotation. Each rotation will last roughly 30 minutes. 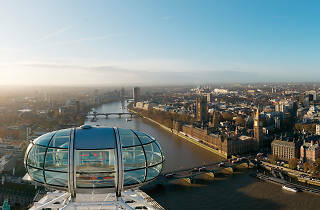 As an observation deck, there’s not much you can do except admire the breath-taking view of London. It doesn't disappoint. It’s spectacular during the day and night. At night, you’ll see London lit up like never before, twinkling and glittering below you. These days there are variations to your London Eye experience if you time it right. For example, you might be enjoying a glass or bubbly or two with a special someone for Valentine’s. It’s a great attraction for the whole family to enjoy. Who doesn’t enjoy a good view after all?. It’s picture-pretty. It’s instagrammable. Keep an eye on the weather though. You don’t want to go on a rainy day. The flecks of rain on the glass of the capsule may obscure your view. It’s also very popular during the day so try to visit later in the evening if you can. London Eye is a show stopper innit! So it's like a 5 star for looks and 3 for being on it so I'm giving it a 4 overall! It's a cracker on Southbank and I love it every time I see it...however if you go on it...not so impressive! The queue might look ok when you arrive, but there's like a queue to queue to queue - yikes the British like queuing but still! On board, you're with loads of other tourists so you all have to take turns taking snaps, although it's big enough for you all the hover around one side or another. It's quite a slow ride especially when you might have waited a couple of hours to get on. If you like a view, try the top of Primrose Hill, the Shard, Skylon Restaurant or Oxo Tower. One of the "must do" attractions in London, although perhaps not the most exciting. The views are very impressive and arguably the best of the many viewpoint attractions in the city (including the Shard). However, it is a very slow ride, so it becomes a little boring once you have pointed out and taken photos of all the visible landmarks. The queues are ridiculous every day of the week. Make sure you pre-book to save time and money as tickets are cheaper in advance and you will queue upwards of an hour if you want to buy at the attraction. Fortunately, there is always plenty going on at the South Bank to keep you occupied though. Go if you are a tourist and want to see all the wonderful sights of London, or even as a Londoner that hasn't yet visited the wheel. Just don't expect to need a return visit. Great views of London, but at a fairly inflated price. There are 32 capsules and it takes about thirty mins. The views are phenomenal, but I'm not sure it's worth the money. 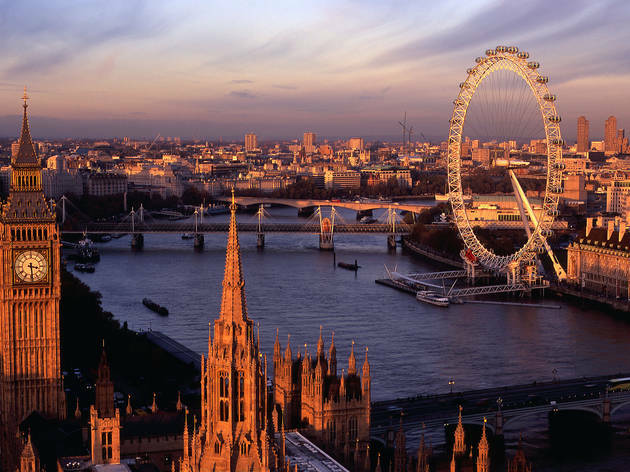 It's one of England's greatest landmarks and is iconic of London. It's better to book in advance as the queues on the day are long. Views are great, and the experience is long enough to satisfy everyone. The negative point is the (always long) waiting queue, and the price. After three years in London I finally did what as a new Londoner I vowed I would do. I guess I can go now, eh? While I’ll admit I caught the eye on one of those all too familiar gray, drab days it was still amazing. It’s one thing that I’d say everyone living in London should definitely do, it gives you an opportunity to see London in a totally different way (I had no idea the Thames was so bendy!) You’ll find yourself overhearing tourists pointing out all the big landmarks while you try to find home or your favourite lunch spot. The queue wasn’t nearly as bad as I anticipated, it’s a bit pricey so maybe wait until you have a visitor then get yourself into one of those signature orbs! The truth is that the views are incredible and nothing really beats them, nevertheless I'm not really quite sure it's worth it. If you've got the money and time to spare then this a perfect experience, if not, you might be better off going to the shard for an amazing view. The queue is ridiculous,especially on a cold day, and although the views are incredibly beautiful, after the first 10 minutes you've taken all the pictures you could possibly want to take. Looks great on the outside, but not awe inspiring on the inside. Views on the river and houses of Parliament are great, not jaw dropping, but still lovely. Pick a sunny day for the real experience. But there’s nothing another tall building or rooftop in London couldn’t give you. First: buy your tickets in advance. You will still have to queue, but an hour is better than two! Second: beware of the tourists. You’ll be sharing the pod with strangers and will definitely have to battle them and their selfie sticks for the best vantage spots. I brought my niece from Portugal has a reward for her good grades and this meant that I was able to be a tourist again and do many of the things I haven't done since I arrived, the London Eye was an obvious attraction to go. Beautiful views (even with cloudy sky) and I would even say that it's much better then what you see from the shard. Great to go at least once. The view from the top of the London Eye is amazing. You can see the whole of London. The wheel spins very slowly so you have enough time to take all the pictures you need and feast your eyes with the view. Just been back to The London Eye for the first time in ten years. Man it's still a good ride and on a clear day you can see for miles - but the PRICE OF THIS ATTRACTION - I think it would be cheaper to hire a helicopter lol. Went to a Time Out Card event here last night and had a great time! We started with champagne cocktails in the VIP Pommery Champagne Bar and then headed over for a private rotation with more champagne. The service and the views were both stunning!